Agriair® 1000 air purifier systems with an integrated variable speed blower and one or two ionic oxidation generators produces eco-friendly oxidizer plasma to purify air in the whole indoor commercial garden environment. The oxidizer plasma is generated from humidity and oxygen in the surrounding air, sanitizes your garden 24/7 and leaves no chemical residue behind. 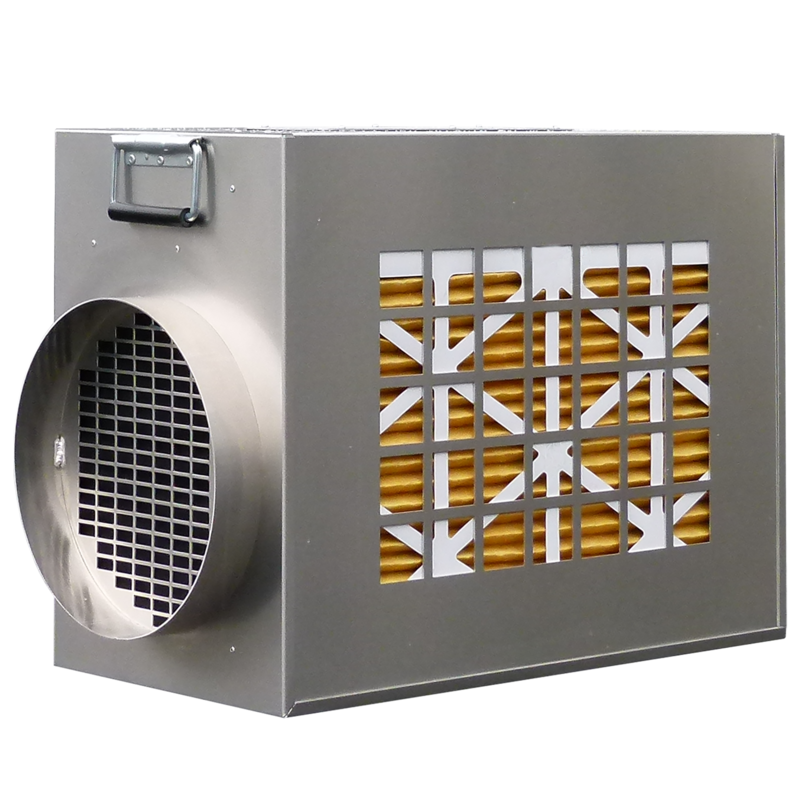 The Agriair® 1000 distributes enough oxidizer plasma to maintain a high level of air sanitation and odor control in 3,000 to 12,000 cubic feet of grow space. The Agriair® 1000 purifier can be set up where needed, ready to plug and play. Viruses, microbes, and bio-contaminants on the plants and on surfaces, that can be nearly impossible to reach, are reduced up to 99.99% without biocides or chemicals that can be highly toxic. Up to 97% of airborne mold and mildew spores are destroyed at their source, before they have a chance of spreading and growing on plants, in vents and air system components.